Review: Mark Watney is a very witty character! I found myself laughing along as he made his remarks. I like how it was split into 2 perspective. Mark’s and Nasa (later on there is another perspective too). If you’re into science and science fiction this book is for you. There was a lot of technical terms and explanations happening throughout the book. Reading that at the beginning was a little dull for me but as the novel went on I got over it and began to enjoy it. I can’t imagine being left on Mars and no way of contacting Earth! Since I read this after the movie came out I pictured Matt Damon as Mark and it made perfect sense so kudos on the casting directors. I can’t wait to see this movie whenever I have the time. The heart of the story is fantastic as well. All the Earthlings pulling to get this Martian home. 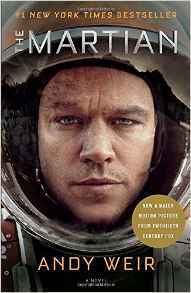 This entry was posted in andy weir, book, book review, books, review, the martian. Bookmark the permalink.